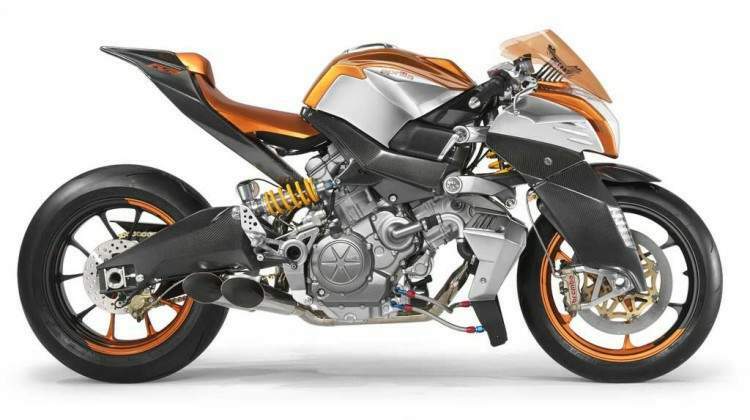 The FV2 1200 embodies the latest Aprilia technology and reveals the direction likely to be taken by technical and stylistic development at Aprilia in the near future. 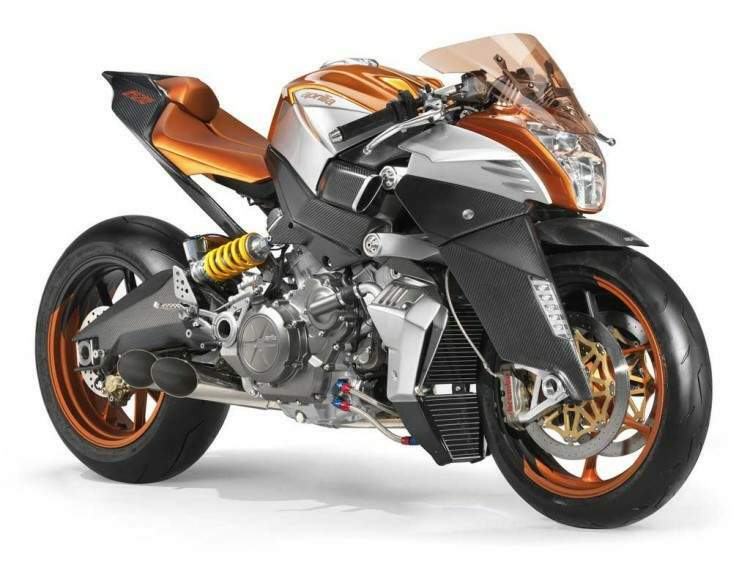 The heart of the FV2 1200 is Aprilia’s mighty, 1200 cc, 90° V twin, a power plant that confirms Aprilia’s determination to develop high capacity, high technology engines using in-house skills and competence. The minimalist bodywork of the FV2 1200 creates a stunning preponderance of volume towards the front of the bike. 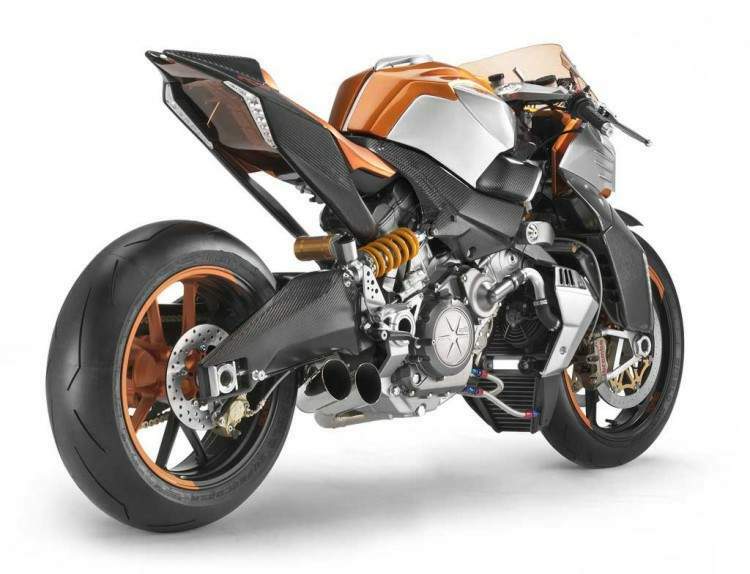 The result is a revolutionary, courageous and futuristic look that is destined to form the solid basis for the evolution of Aprilia motorcycle styling. 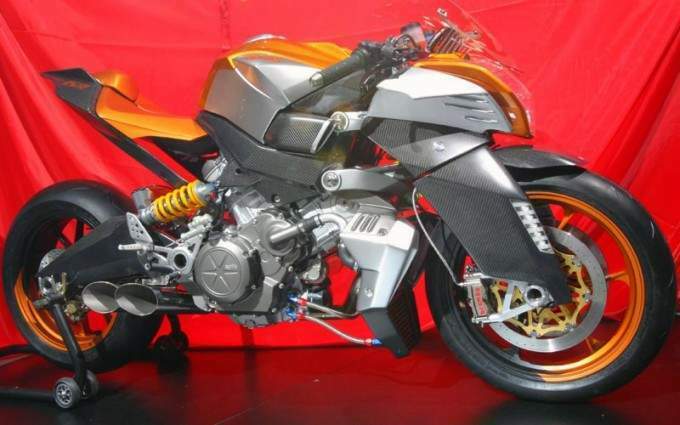 The engine also fulfils a structural role, and acts as the starting point for the backbone of the motorcycle, a carbon fibre, load bearing frame with integrated filter box. The seat is supported by an aluminium beam and by two carbon fibre struts that extend into the tail and around the rear light cluster. 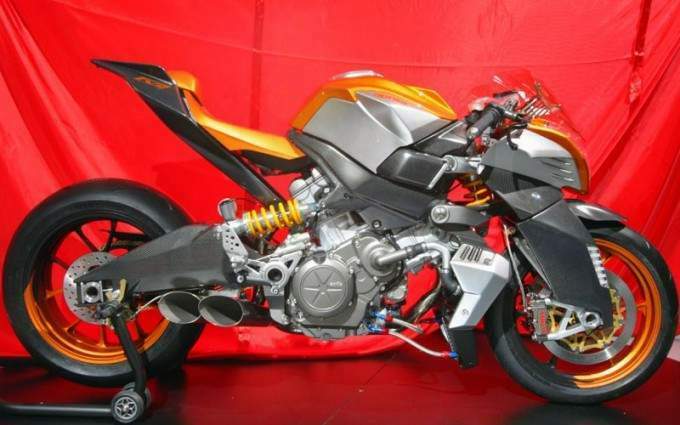 The parallelogram front suspension is based on the system already tried and tested on Aprilia’s 250 cc GP racers. These futuristic solutions have led to an amazing weight reduction (the FV2 1200 weighs under 160 kg) and an extremely compact size. The extraordinary agility that has always typified Aprilia motorcycles therefore finds its utmost expression in the FV2 1200. The 1200 cc V twin engine is liquid cooled and boast a ride-by-wire control system. 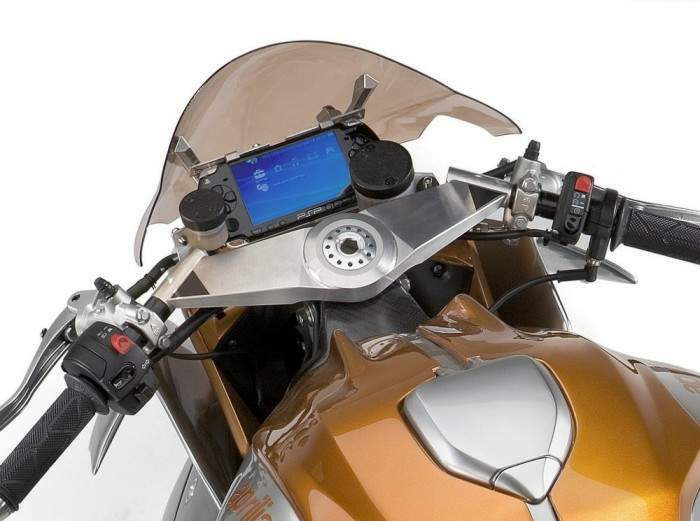 Traction control, a latest generation ABS system and electronic suspension management are also provided to let you ride at your performance peak while maintaining complete control over the bike.